Nimbus Themes / Magazine / WordPress Themes / 35+ Kids WordPress Themes for Children, Schools, Shops and More! Kids are taking over the internet whether you like it or not. They’re accessing videos through YouTube, and sometimes becoming stars by making their own content. Kids use the internet for school work, shopping, playing games and more. Some parents would like to stop it, but the future is here, and it belongs to the kids. Heck, if you turn on Shark Tank, they even have dedicated shows to kids who have created million-dollar online businesses. If you’re a kid, or you are building a website for a child, your best bet to getting online fast is with a kids’ WordPress theme. These templates are designed to have more juvenile looks, with playful imagery and fun elements to keep kids engaged. On top of that, they are affordable and easy to install and manage so even if you have no coding knowledge, you can easily create a website that caters to kids. You can focus on providing an interactive online playground for the kids or you can market your daycare services or summer camps. 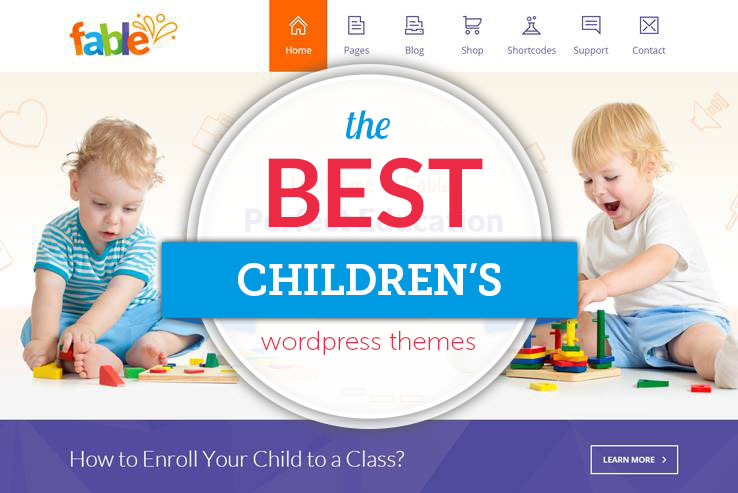 It’s not all fun and games, though, because some of the best WordPress themes for kids focus on schooling and extracurriculars, showing that the internet is not only a playground but a place to share ideas and learn new things. 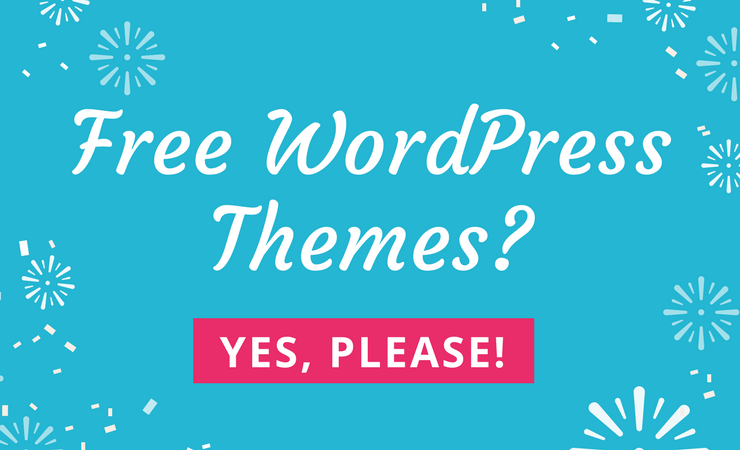 Since so many kids are trying to build websites these days, it’s not a bad idea to outline some of the WordPress themes that are going to help them along the way. In addition, we’ll cover kids themes for businesses that are selling products and services to children. Therefore, keep reading to learn about the best kids themes for children, schools, shops and more. 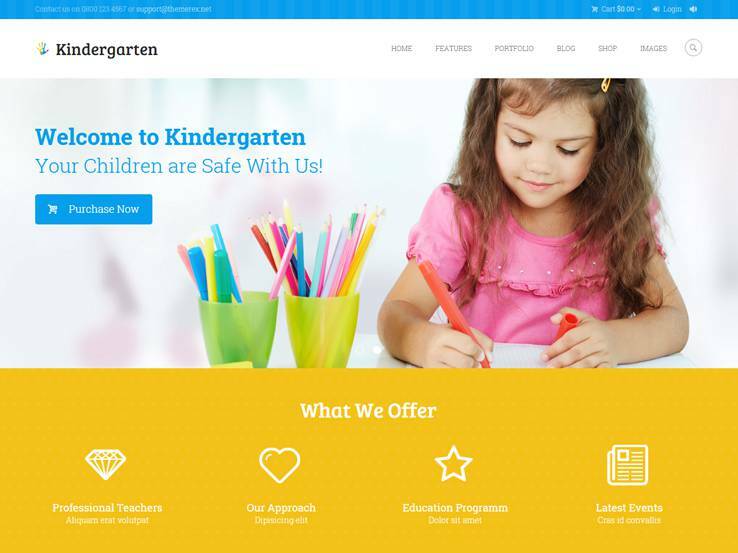 Kindergarten WP Theme has proved itself very convenient and easy to customize. It has multiple headers and home pages in it, so you can make video backgrounds and with Visual Compose and Media Content Manager. Royal and Swiper built-in sliders will certainly make your life easier while setting the theme up. 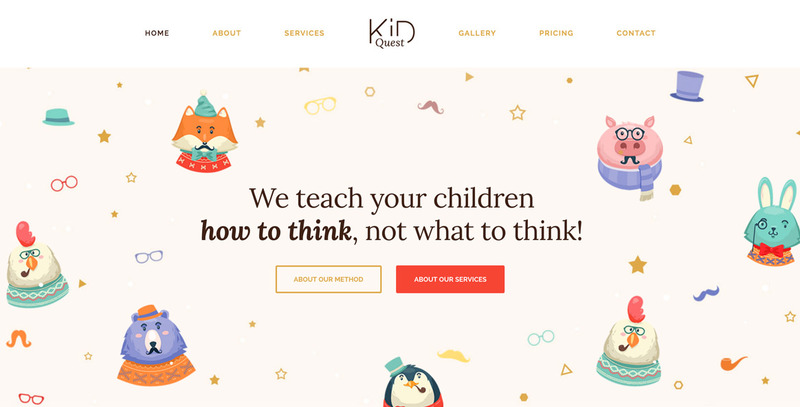 Kid Quest is a WordPress template designed for day nurseries, child schools, and daycare centers that can be used to present child care services in a joyful manner. 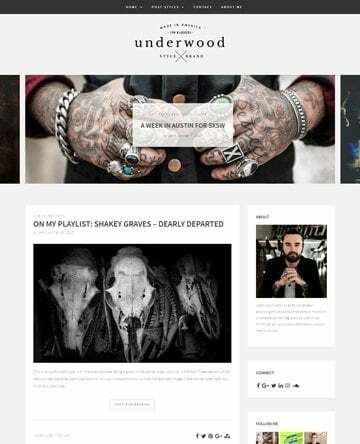 The backbone on which this template was crafted is the most versatile multipurpose theme -The Core. Kid Quest includes playful icons, an easy one-click install system, specific niche related layouts, and a powerful visual page builder to edit and modify pages. 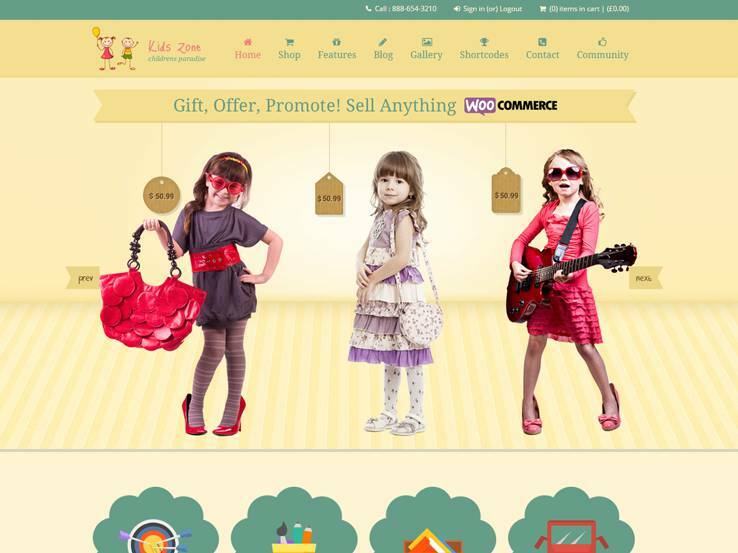 The Kids Zone theme is a responsive theme for selling kids products and accessories. 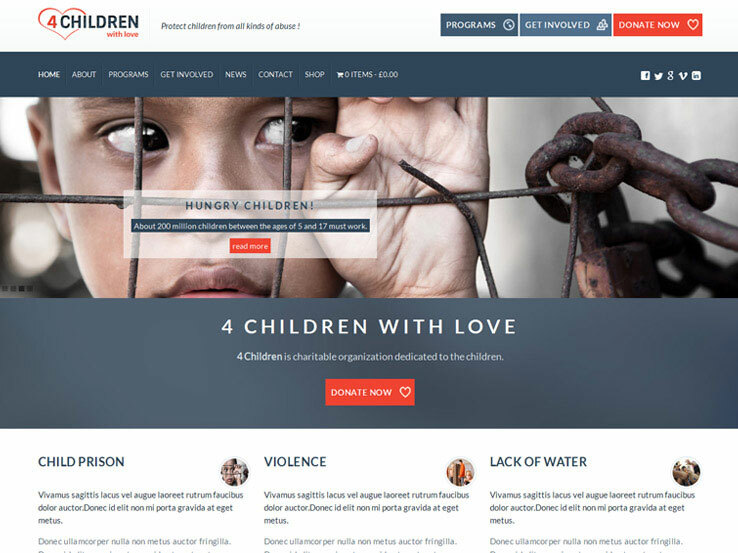 It provides six homepage designs which are nice for standing out from the crowd and the four creative gallery designs allow you to show kids images and videos in a unique way. The handcrafted slider animations offer playful movements and they allow you to showcase fun products or events that kids can go to. The theme has a one-click demo install which speeds up your setup process. The page builder has drag-and-drop tools for quickly designing your website and keeping your hands free of any code. Three gorgeous skins are included with the Kids Zone theme, allowing you to brand your site the way you want. In addition to that, the WooCommerce support helps with collecting payments and creating visual product pages for selling items to children. Translation files come with the purchase so you can easily translate your website. The theme also includes a mega menu, which is ideal for eCommerce shops that have tons of products. A blog is included with the theme, boosting your search engine rankings and helping you share free content with your readers. The shortcodes prevent the need to touch any code, allowing you to make anything from buttons to columns. Show off your recent blog posts with a widget and fill your footer with other widgets. Some of the widgets include newsletter signup forms, contact information, social media buttons, and top rated products. If you have any problems with your Kids Zone theme, you can contact the support team, which is highly responsive. Overall, this is one of the top themes you can find if you’re interested in a look that connects with children. 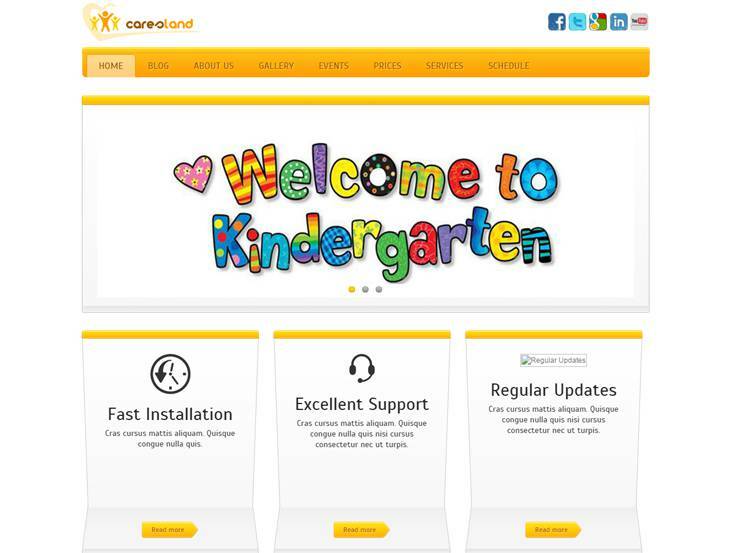 Try out the Kids Center theme if you’d like a clean and responsive design for talking about your daycare services. The majority of the website is filled with white space, which works nicely for keeping things uncluttered and clean. The Kids Center theme has colorful elements and a fun slider area at the top for displaying information about your daycare. Social media buttons are included with the theme, allowing you to connect with people from all over the world. Upload your logo and use the services areas to feature different types of services you offer for the kids. A blog is provided so you can share helpful information with parents and it also helps boost your search engine ranks. Make a gallery featuring tons of happy kids that walk through your doors. Consider posting testimonials so other parents can see that you are a reputable business. A contact page comes with the theme and you can even make an FAQ page without putting in much design work. The responsive design looks great on all smaller devices and the custom post types allow you to create posts with galleries, quotes, images, and more. If you’re interested in reaching out to people who don’t speak English, the translation files are more than helpful. Over 80 shortcodes give you the power to make anything from lists to columns, without having the development knowledge of a programmer. Along with a two-step installation, a filterable portfolio, custom widgets, and an advanced backup tool, you can’t go wrong with the Kids Center WordPress theme. 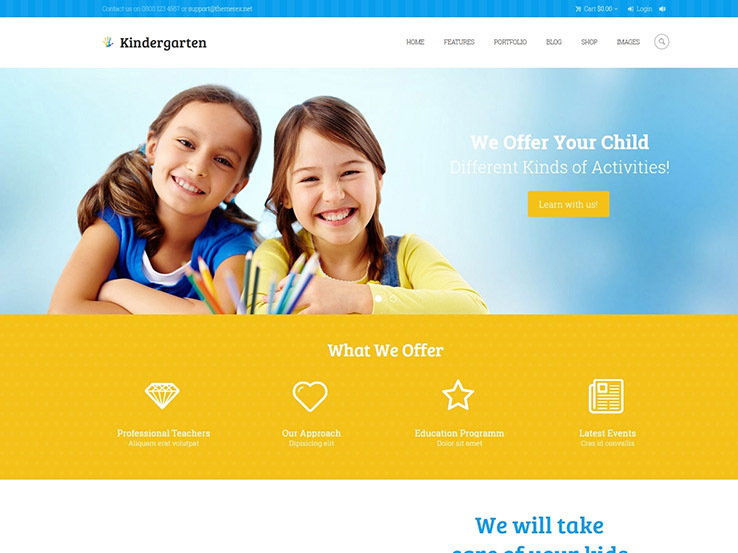 The Kindergarten theme is another children’s website theme with mobile device optimization. This is ideal for everyone who visits your website on a mobile device. The theme can be used for a school or online training center, as it uses a wide range of fun colors, pages, and designs to keep kids engaged the whole time. Several headers are included with the theme, allowing you to get creative with the area that calls for attention. In fact, you can choose between the Royal or Swiper slider, both of which have varying features and effects. The theme also offers parallax and video backgrounds which can explain information to parents or engage kids in a way that text never could. 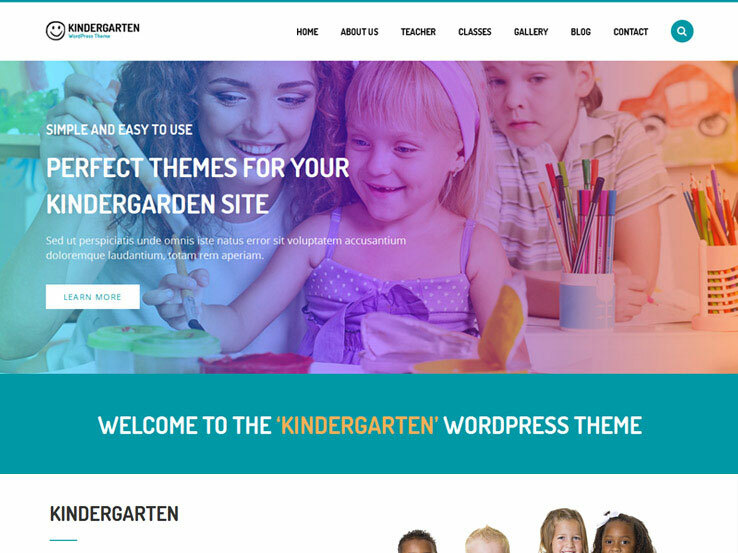 The Visual Composer plugin comes with the Kindergarten theme. This plugin generally sells for a premium price, but you get it for free, along with all the animations and features. Custom menus can be placed on the top or side of the website, while the bookmarks panel is helpful for visitors who would like to remember where they left off. The AJAX powered search bar is wonderful for allowing people to quickly find the information they need and it also speeds up the search process with fast loading. The blog has an interesting frontend editor where you can design your posts without even logging into the WordPress dashboard. We like this for organizations that have lots of people posting to the blog. A portfolio is nice if you’re trying to impress future clients and the translation options ensure that everyone throughout the world understands your website. 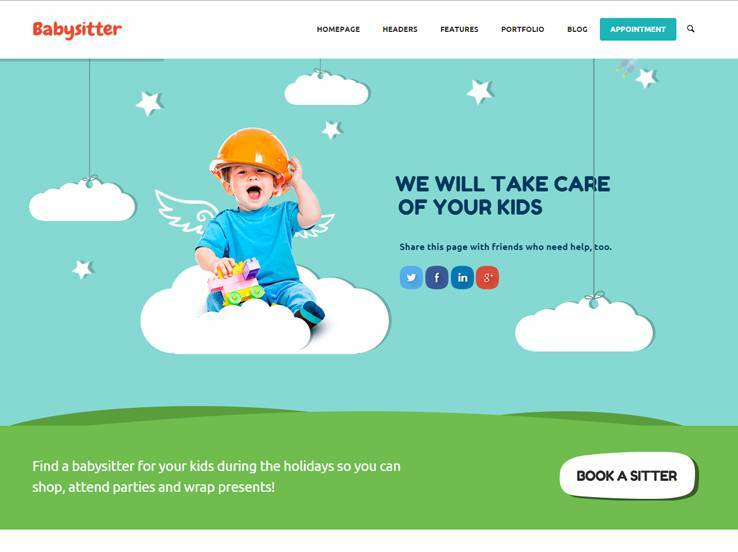 Along with a full online shop, a place to highlight your team members, and some stunning social media buttons, the Kindergarten theme is one of the more flexible kids’ themes out there. 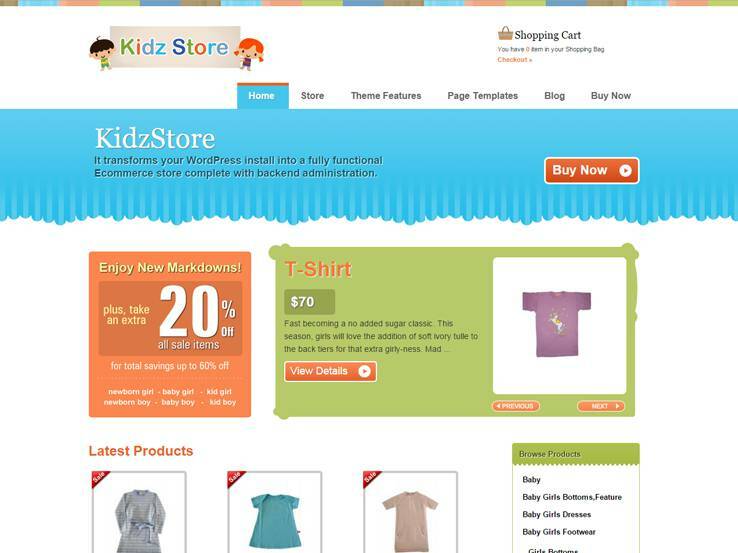 The Kidz Store WordPress theme is all about giving you the tools needed to generate a niche children’s online store. The responsive theme lets you sell both physical and digital products and it connects with a wide selection of payment processors to facilitate payments. This is a completely widgetized layout, meaning that it works similar to a drag-and-drop editor. Beginners and advanced users are both known to love it when you get lots of widget areas. Manage product attributes, affiliates, and shipping from the dashboard, while also setting up coupons and other promotions that people can use to save at your site. The blog is easy to manage and it allows you to quickly share information with your customers, while also getting the attention of search engines. The design looks great from the start since it uses a header area with overlaying text. This works well for featuring your most popular products or your sales pages. Present featured or recent products in a slider and even connect one of the widgets to your Flickr feed. A bulk upload tool is offered in the backend, meaning that you can take a large CSV list of your products and instantly place them on your website. The guest checkout is one of the coolest features, considering some people just don’t want to share any information when buying online. Order management is fairly simple in the dashboard and several PSD files come with your purchase, in case you have the knowledge to manipulate them to truly customize the website. Finally, the Kidz Store theme has full WooCommerce compatibility, giving you the ability to post your own products, collect payments, and setup items for shipping, returns, and discounts. 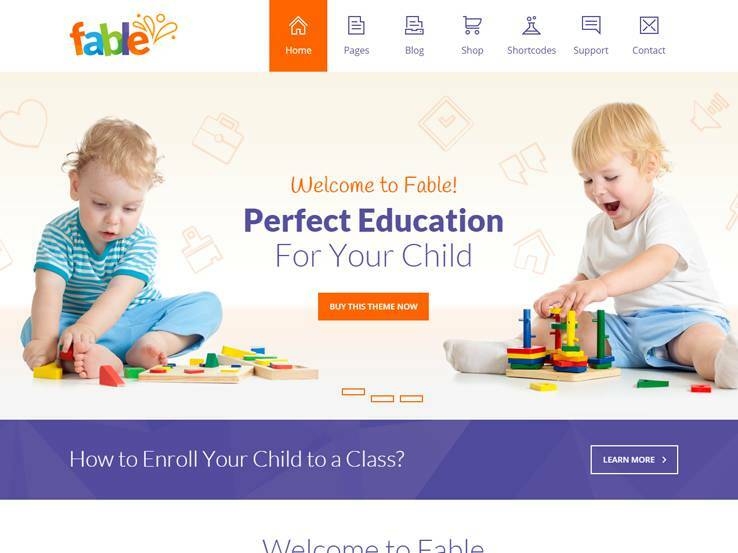 Consider the Fable WordPress theme if you’d like a playful and colorful theme for blogging about children or selling products that cater to kids. The developers say that it’s best suited for schools and nurseries, but with a little creativity, you could turn the theme into anything you desire. That said, it’s a completely responsive theme, meaning that users can see the images, articles, and other content from mobile devices. The Slider Revolution plugin is built right into the theme, allowing you present images towards the top of your site. Share images about events, promotions, and curriculum. A built-in timetable ensures that everyone knows about the events that are coming up in the school. We like the theme demo data installer because it speeds up the setup process. The drag-and-drop page builder complements both beginner and advanced users since it speeds up the development process by giving you a more visual interface for designing your website. In fact, you get to choose from over 35 content elements, which can be placed anywhere on your site. The shortcode generator is another way to keep your hands out of the source code since these are great for making simple items like buttons and columns. The theme options panel has different homepage layouts and dedicated pages, all of which add variety throughout the theme. Along with WooCommerce integration, a blog, and a contact form builder, you can’t go wrong with the Fable WordPress theme. The Happy Summer Camp WordPress theme delivers a professional design for summer camps around the world. The 100% responsive design looks pretty darn nice on mobile phones and tablets, while the fully editable backend provides tools for changing page templates and more. Some of the post types include options for galleries, quotes, and images. The multilingual nature of the theme allows you to use the theme with any language, while the shortcodes allow you to make simple elements without any coding. What’s more is that the 2-step installation takes just a few minutes for a full launch. Multiple color variations are suitable for branding your site, and the filterable portfolio can be used to show off pictures of your camp. We like the header/slider because it offers support for high-resolution images. You also have the ability to insert overlaying text over the slider images. 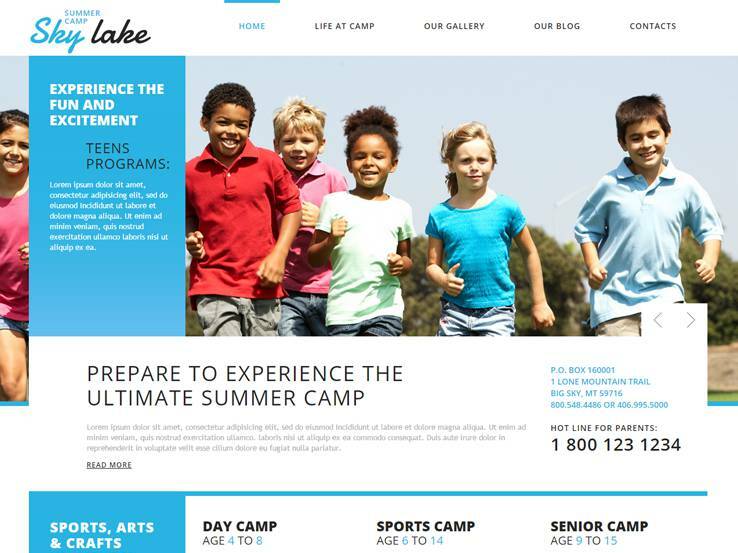 Contact information is necessary on a summer camp website and a full calendar is a must. The Happy Summer Camp WordPress theme includes all of these elements for keeping parents in the loop before the school year ends. A contact form is included and a blog improves how many people see your website on the search engines. Overall, the Happy Summer Camp theme has more than just imagery and information. It’s a beautiful theme for a fun-looking website. 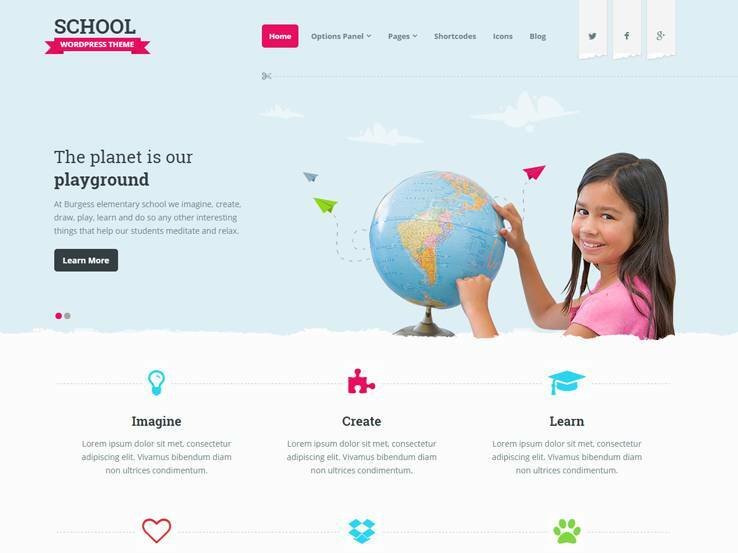 School is a fully responsive theme with a clean design and strong focus on educational features. 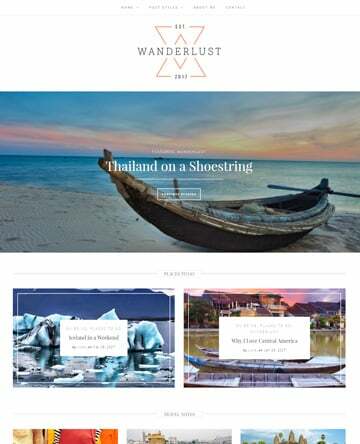 The theme features a stunning slider in the header area which allows you to add a text overlay and a call-to-action button that immediately sends people to your most important pages. This theme is a great choice for schools, classes, daycares, and other educational programs as it features a gallery post type and an event post type which make it easy to enhance the ability to provide a quality education. A custom widget is included so you can easily show what days of the week you’re open along with the hours and your address to make it easy for parents to find you or get in touch with you. The testimonials widget is also included so you can show your credibility to other parents who might be looking for a daycare or an after-school program for their kids. A rating system is also included so your visitors can rate the quality of your educational content. The theme includes unlimited color and font options so it’s easy to match your website with the rest of your brand and the responsive and cross-browser compatible design ensures your website looks great no matter what device or browser your visitors are using. Along with 15 custom widgets which give you a somewhat of a drag-and-drop interface, SEO optimization, and a beautiful blog, School is one theme you shouldn’t ignore. 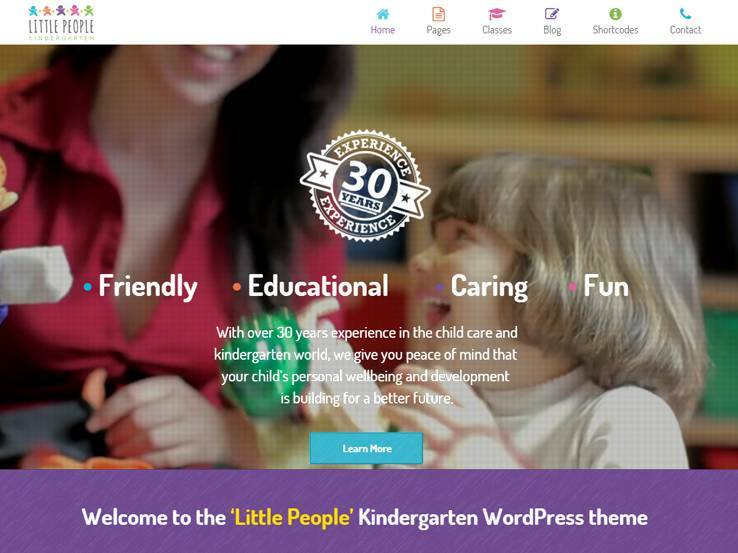 Consider the Kids Life theme if you want a colorful theme for your daycare, kindergarten or any other type of kids’ website. 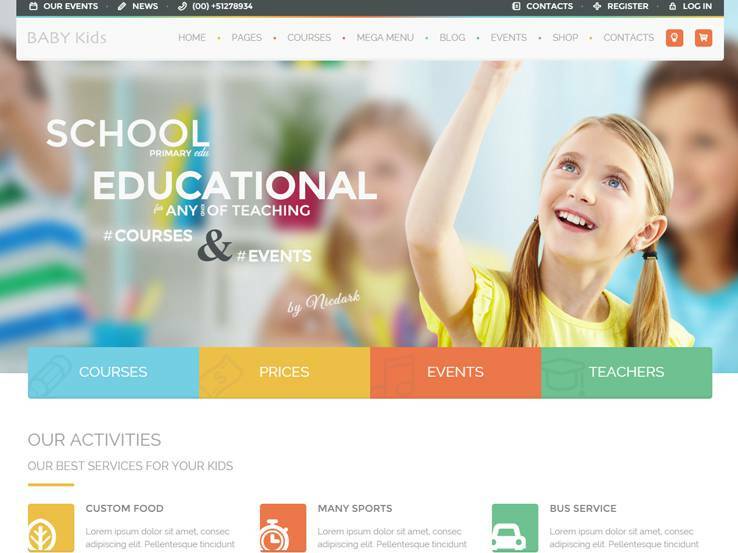 The theme allows you to easily feature different types of events and activities you have planned for your educational facility and you can also include a shop to sell additional educational material right on your website thanks to the integration with WooCommerce. Additionally, you can create multiple galleries to feature memories and achievements from previous classes or events and show parents that your school is a safe and fun environment. The theme comes with a powerful drag-and-drop page builder and a ton of shortcodes to make your design process as easy as possible without having to delve into code. Plenty of customization options are also available to easily change colors, fonts, and more. On top of that, the theme is fully responsive and can even be translated into another language so you can cater to a wider audience. Finally, parallax backgrounds and the ability to feature members of your staff are all the more reason to give this theme a try. 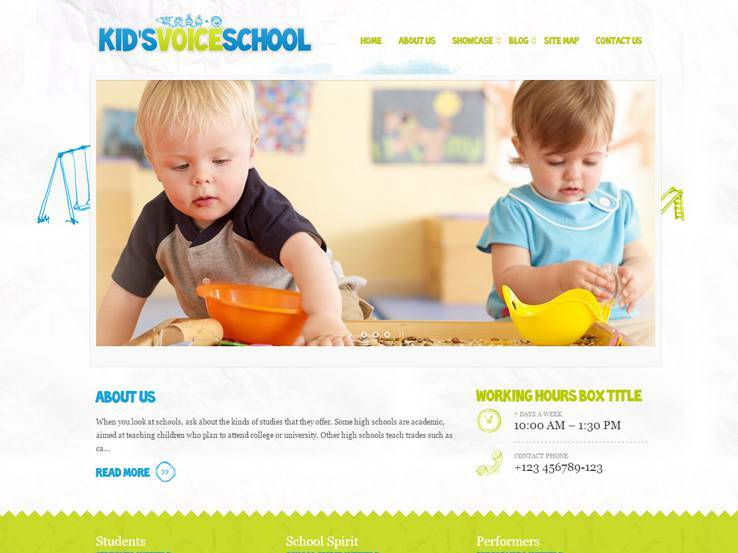 Kid’s Voice School is a solid choice with responsive design and the ability to feature your most important events or latest blog posts in a stunning slider right at the top of your homepage. Share a brief description of your school below and link to your About page with a simple button. Your office hours are clearly visible right next to the About section and you can showcase the types of events you have going on or different education plans. Your contact information can be placed in the footer so parents can easily get in touch with you. Create several galleries to show what a typical day in your school looks like and use the blog to keep parents up to date with everything that’s happening in your school. The theme has several predefined color schemes to choose from so it’s easy to match it up with your brand. However, it’s worth mentioning that you can easily customize those colors on the backend along with various other customization features. Best of all, the theme is fully responsive. The bright, colorful design of Happy Kids makes it an excellent choice for developing any kids or children website. It comes with CWS Builder and Slider Revolution to help you publish beautiful content on your site. You can use the built-in page templates to create the necessary pages. Style options are located in the advanced theme options section. Choose any color scheme you want and add an unlimited number of sidebars to your content. 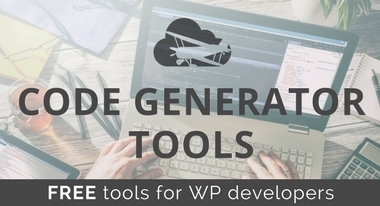 Use the one-click demo import feature to get started with your website in minutes. Happy Kids also features full support for WooCommerce and WPML. 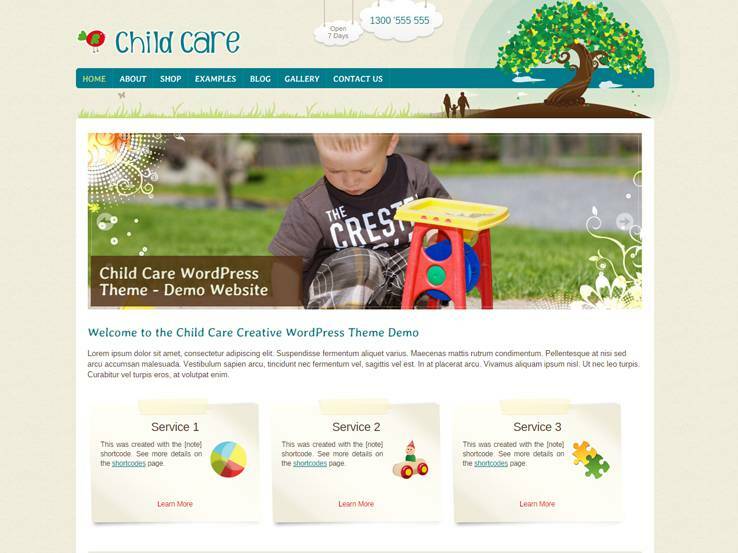 Are you looking for a simple WordPress theme to create a child care website? If yes, make sure to add Caresland to your watch list right now. You can use the pre-packaged slider to highlight the best features of your daycare facility. Thanks to the dedicated events page, it is possible to create, display, and manage events without requiring any additional plugin. Make full use of the custom widgets to display relevant information on the footer and sidebar. The theme options panel will provide you with all the necessary customization options. The fully localized template works correctly on all modern browsers. 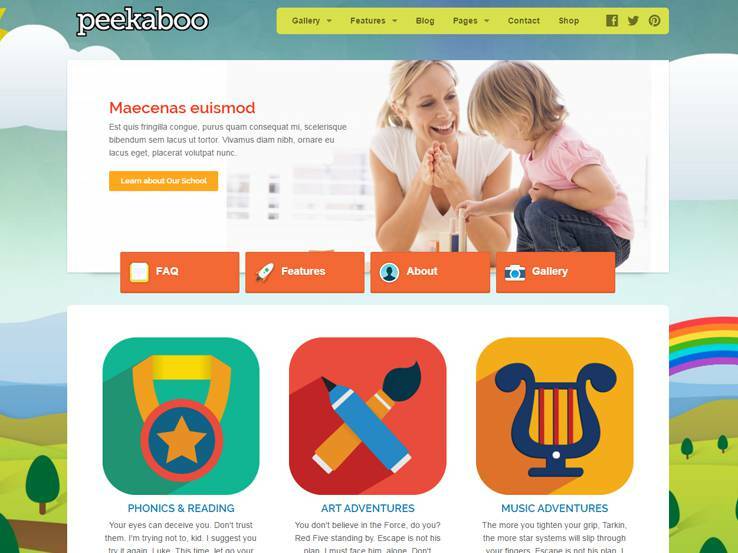 The excellent Peekaboo theme allows you to create daycare, school, toy store, or any other kid-related website. Being developed on the Foundation Framework and powered by latest technologies like SASS and Compass, you will get access to a robust set of features for your website. The homepage is fully customizable, which means you can decide which sections you want to display on the front page. Feel free to use the custom shortcodes and widgets to decorate your posts and pages. The sticky menu will ensure that the visitors always have access to the navigation items. Integrated breadcrumbs support is another nice touch to upgrade the user experience. 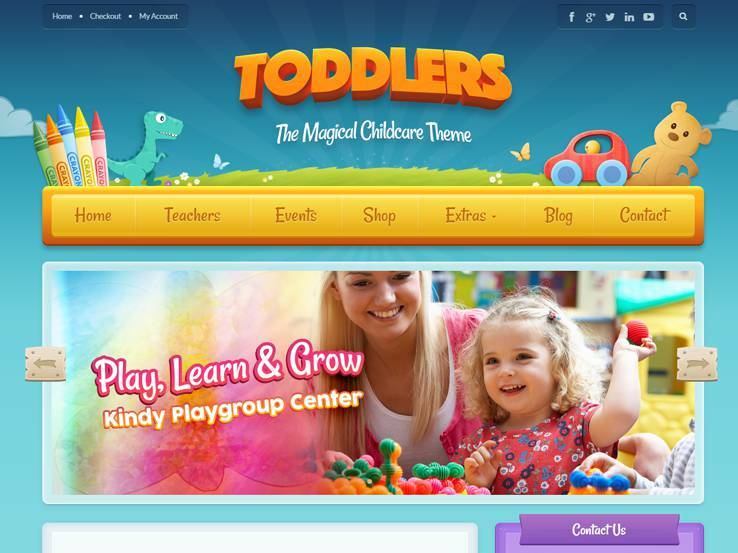 Thanks to its fun, inviting design, Toddlers can be a great choice for developing any kids or children website. The hand-illustrated vectors will keep your site totally unique, while the CSS3 animations will help you enhance the user experience. The theme supports multiple menu locations along with drop-down support for the main menu. The theme options panel includes loads of personalization options to help you control the color, fonts, headings, titles, backgrounds, and so on. You can use the custom shortcodes and widgets to further decorate your content. Nested comments will encourage the visitors to join the ongoing conversation. 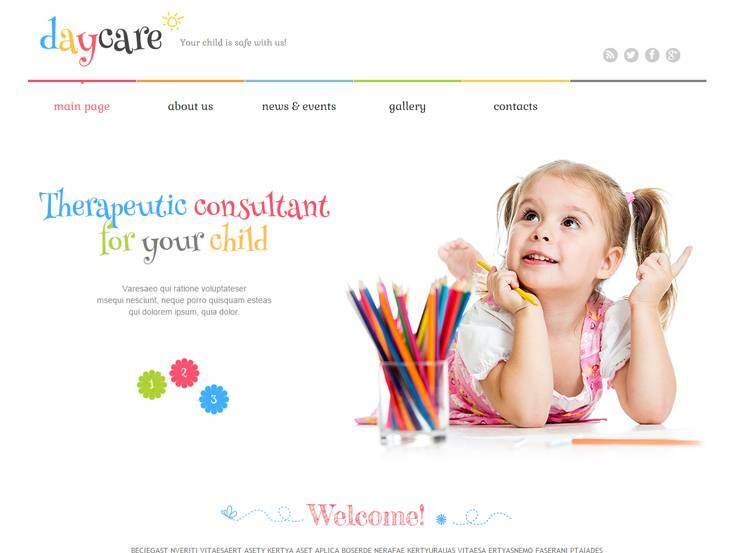 As you can guess from the name, this is a dedicated WordPress template for developing daycare, child care, nursing home, or other relevant websites. It comes with three unique flavors to help you create a unique design for your website. The stylish navigation menu supports both mega menu and multi-level drop-down items. Create the necessary pages by using any of the multiple page templates or use Visual Composer to create beautiful layouts for your posts and pages. Feel free to throw in the integrated parallax animations to enhance the browsing experience. You can use Daycare to create both one-page and multi-page sites. 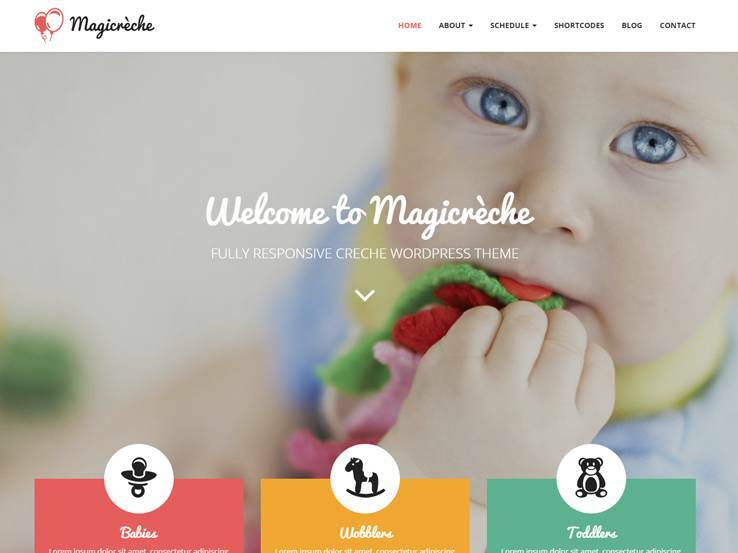 Magicreche could be another excellent choice for your next crèche, daycare, or nursery site. The fully customizable homepage enables you to decide which sections you want to show to your visitors. Depending on your requirements, you can display the available staff, unique facilities, testimonials slider, image gallery, membership plans, schedule, location, contact form, and so on. Don’t worry if you have multiple locations for your crèche. The theme comes with native support for displaying multiple locations and contact forms. Make full use of the multiple post types and custom shortcodes to publish content on your website. Despite the name, Child Care Creative could be a great pick for developing arts, crafts, creative, or any kids and children website. The theme has been recently updated to feature multiple variations of the header and footer designs. It also comes with the powerful Elementor Page builder, allowing you to create stylish post and page layouts for your website. As the package includes all the necessary graphics items, photos, and fonts, you can get started anytime you want. The integrated step-by-step installer will help you set up the website within a few minutes. Check out the admin options section to manage the style aspect. The simple, organized design of Kindergarten is perfect for developing kindergarten, pre-school, child care, or any educational website. Use the full-width slider to highlight the unique features, advantages, events of your institution. The professionally designed page templates will help you to create the about us, contact, gallery, classes, and other necessary pages. Have a look at the theme customizer to explore the available options and enjoy a live preview of any style changes you make. Don’t have the time to create the basic content? The one-click demo import feature will come in handy for you. Impress your young visitors with the inviting, playful design of Kiddy. 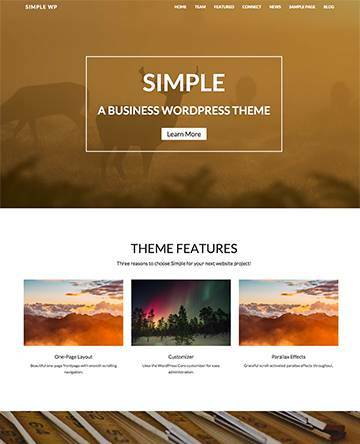 This specialized WordPress theme also comes with a large number of page templates to help you get started as quickly as possible. And if you want to be creative, get busy with the pre-packaged drag-and-drop page builder. Create and manage events right from your website with the built-in events calendar. Use the timetable schedule to keep your visitors updated about the upcoming activities. 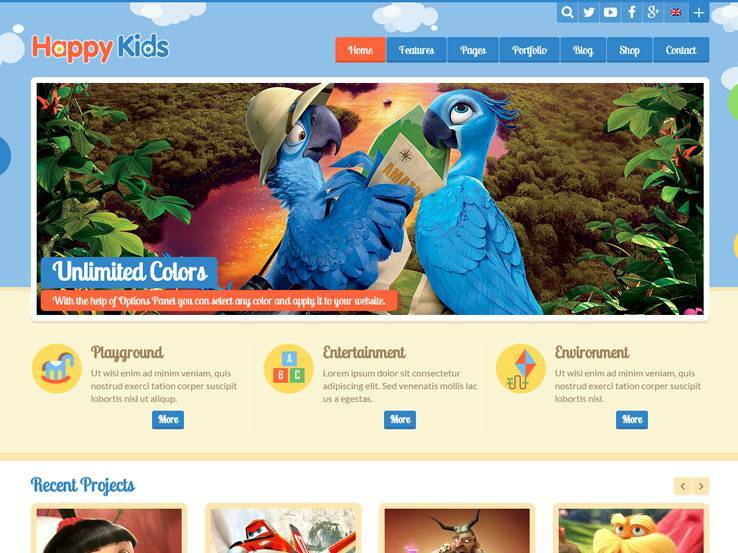 Kiddy offers extensive styling options along with a fully responsive layout. The template also works perfectly with WooCommerce and WPML. 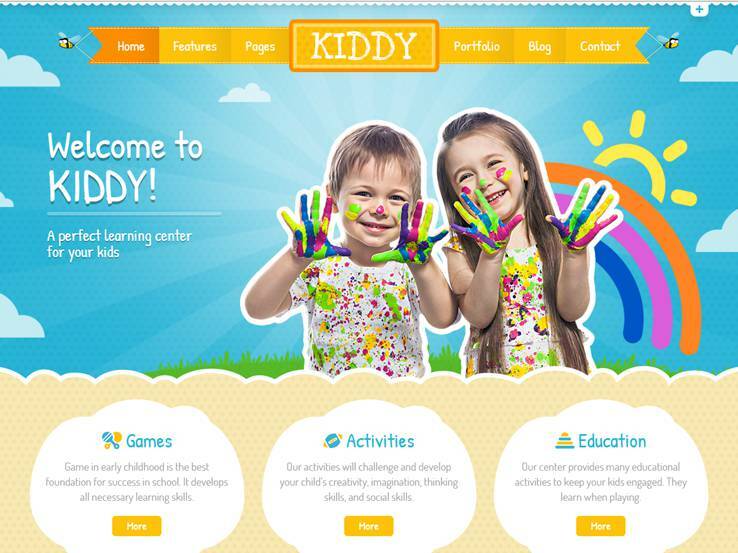 The feature-rich Baby Kids theme comes with everything you need to create stylish kid and children education sites. The slideshow uses parallax effects to provide a 3D feeling to the slide images. The integrated mega menu and drop-down features will offer easy access to various sections of your website. There are dedicated page templates for the teachers, courses, events, blog, and other necessary sections. It is also possible to use the pre-packaged Visual Composer to create unique page layouts. The simple event management options will help you organize different types of events. You will also find separate options to add the necessary course information. The name clearly indicates that Children Store is a dedicated e-commerce theme for kids store, baby shop, or children-oriented online stores. It uses WooCommerce to help you display products, manage the shopping cart, accept payments, and deal with shipping, taxes, etc. Show off your latest, best-selling, or most popular products by using the Layer Slider. Use the drag-and-drop page builder to create various content layouts for your store. Custom shortcodes will make it a lot easier to add different elements to your posts and pages. The multi-lingual template also features superior team management options. 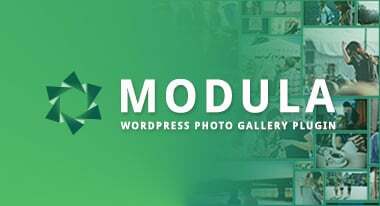 This multi-purpose WordPress theme provides you with four unique skins for developing different types of websites including babysitting, daycare, online store, and educational websites. Bring variation to your website by using the advanced header customization options. Kids Care comes with multiple slider plugins to help you showcase images in different styles. Wow your visitors with the parallax and video backgrounds, or let them find their desired content by using the AJAX-powered search feature. They can provide a rating or leave reviews to your blog posts. Feel free to choose any of the several pagination styles for the blog section. 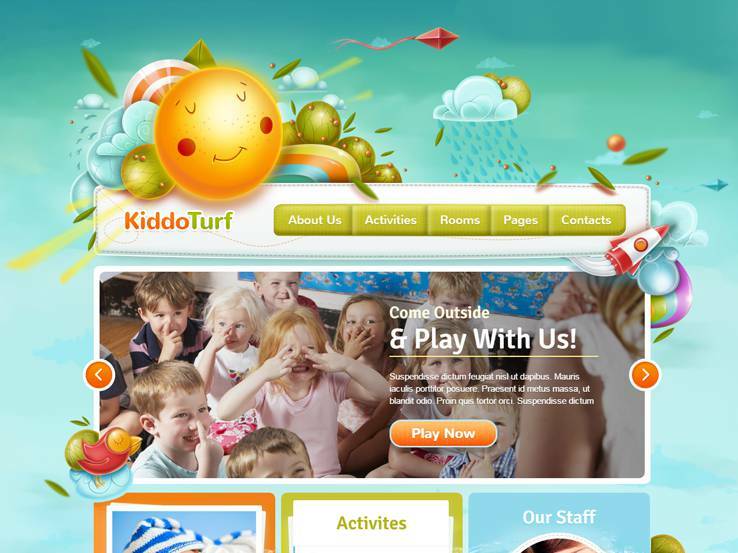 The engaging design of KiddoTurf could be your secret weapon for developing a successful kindergarten, daycare, or other kid related website. Highlight your services, events, or promotions with the HTML5 animated slider, which works perfectly on mobile devices too. The hand-crafted illustrations will be additional points of interest for your visitors. Use the simple back-end options to control the style of your website. The inbuilt contact form module will be useful for the contact us page. You can have unlimited sidebars for your posts and pages. Organize your events by using the dedicated events post type. 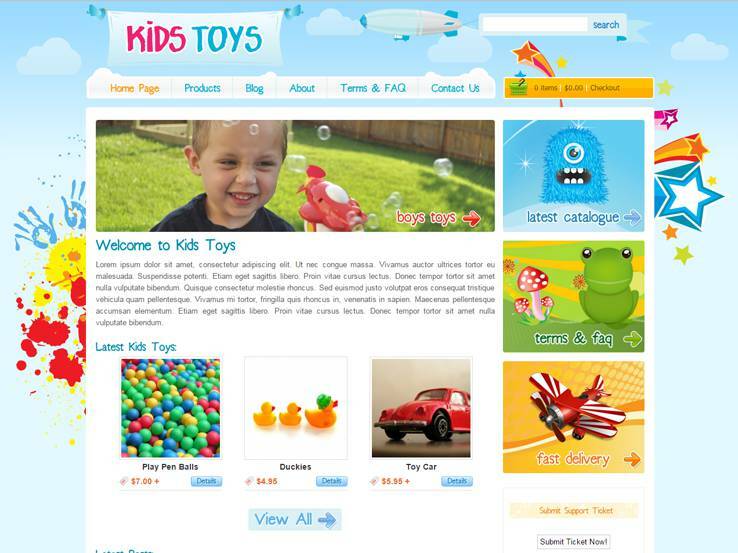 Though the title says toys, you can use the Kids Toys theme to create any kind of kids or children shops and online stores. As it comes with professional design for the home, all products, single product, and contact pages, you won’t have to create these from scratch. Utilize the multiple widget areas to display additional information on the pages. The mobile-optimized template will ensure that your e-commerce site looks great on mobile, tablet, and other handheld devices. Refer to the detailed documentation to get step-by-step direction about using the various features of Kids Toys. This is a charity theme with a special focus on raising funds and increasing awareness for distressed children. The modern design is complemented by Soliloquy slider, which makes it possible to highlight the latest images for the events and causes you are promoting through the website. Thanks to multiple post formats, you can publish any type of content you want. The template comes with full support for WooCommerce, allowing you to sell merchandise or collect donations from your visitors. There are several widget-ready areas to show the latest news, blog posts, archive, contact information, and so on. 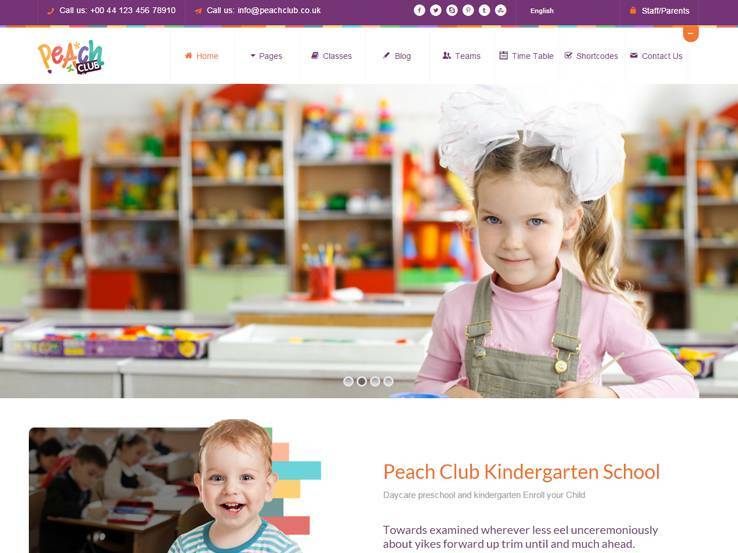 With a special focus on educational websites, PeachClub is a highly popular WordPress theme for creating child care, kindergarten, pre-school, nursery, daycare center websites. It features an intuitive drag-and-drop page builder with lots of ready-made elements. Grab the attention of your visitors by displaying stylish slideshows created with Revolution Slider. You can have unlimited sidebars for your posts and pages. The built-in timetable feature will be very useful to publish your class schedule on the website. Manage the classes and students with the default options. Choose your preferred color, Google Fonts, and other styles from the customizer panel. If you love minimal design, you will adore Kiddo. 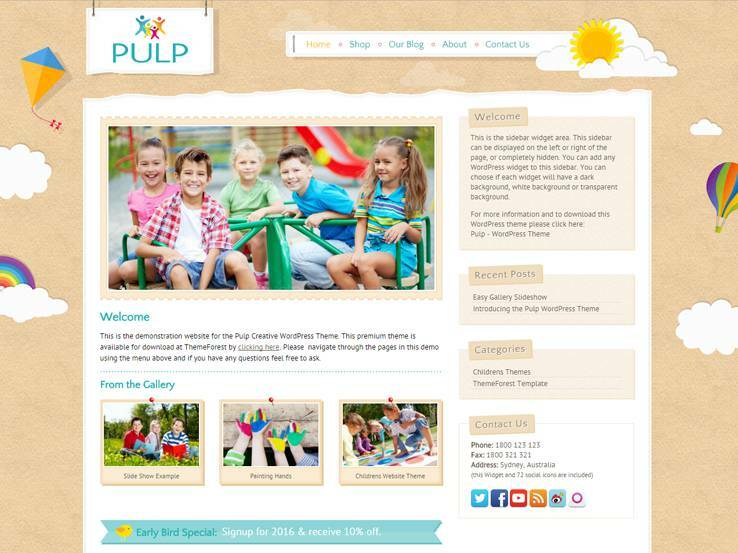 This simple kids WordPress theme features a post slider on the homepage. It is also possible to use any of the pre-packaged sliders to create and display eye-catching slideshows on your website. Choose any of the default color skins or create your own from the theme options section. Show off your images by using the multiple gallery styles. You can use the testimonials page to highlight your previous clients. There are several widgetized sections to help you utilize the default and custom widgets. 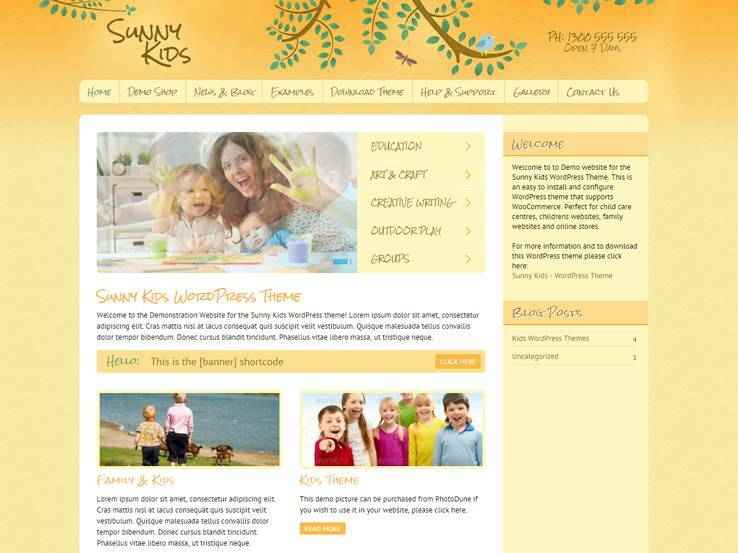 The creative Sunny Kids theme features lots of hand-drawn pictures, graphics, and special fonts to help you develop kids, children, family, or any art and crafts website. Use the homepage slider to show beautiful images from various sections of your website. Take advantage of the simple sidebar manager to enhance your posts and pages. Sunny Kids works perfectly with Google Maps, which makes it a lot easier to show your locations on the website. Check out the theme customizer section to choose your own color, font, background, and other personalization options. As the template works correctly with WooCommerce, you can sell various kids items from your website as well. Being a mom is one of the most important events of your life. That is why you need to choose a special template like Mommy Blog to document your journey along the way. The warm design is complemented by unique and relevant features like the pregnancy counter, multiple color and header options, custom graphic elements, and fonts. Use the intuitive sidebar manager to make full use of the advanced widgets. The theme is fully compatible with JigoShop shopping cart, which makes it possible to sell your own items. The contact form template comes with Google Maps integration for displaying your actual location. 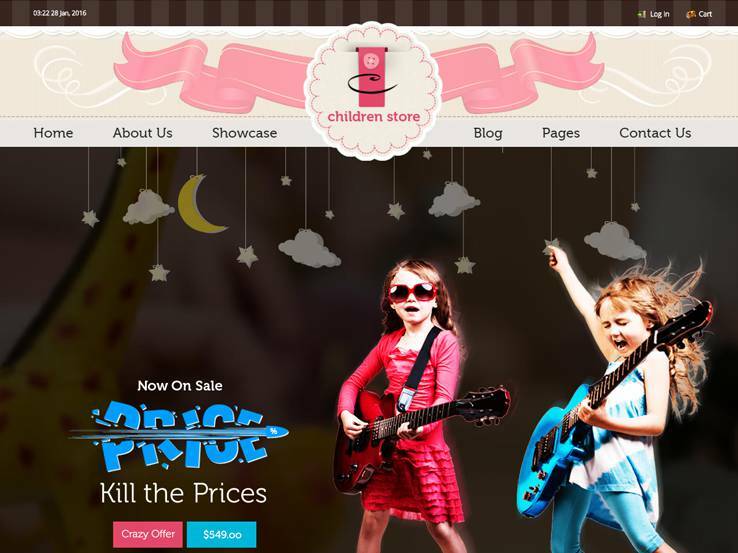 Choose the Boutique Kids theme if you want to set up a toy shop, clothing store, or an online store dedicated to kids. Having full WooCommerce support, you won’t have to worry about displaying products, collecting the payment, or managing your customers. Use the simple customization options to control the appearance of your store. 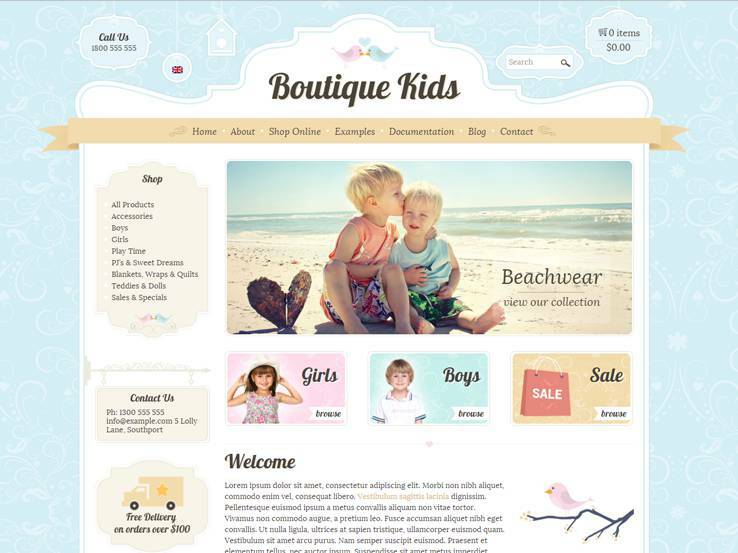 Boutique Kids comes with lots of custom shortcodes and a handy sidebar manager to help you enhance the posts and pages. The quick setup guide will help you make the most out of the available features. Pulp comes with several animated elements like the sun, background, header, and footer that will respond to the mouse movements of the visitor. 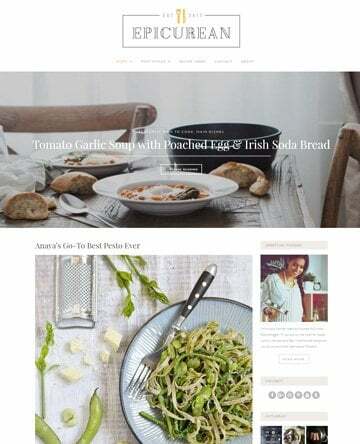 Thanks to the beautiful blog post layouts, you can publish fresh content in attractive styles. Use the sidebar and widget management options to make the posts look more interesting. Check out all the customization options and make the necessary style changes. With full WooCommerce support, it is possible to integrate a fully functional online shop to your website. Pulp also features complete Facebook integration. 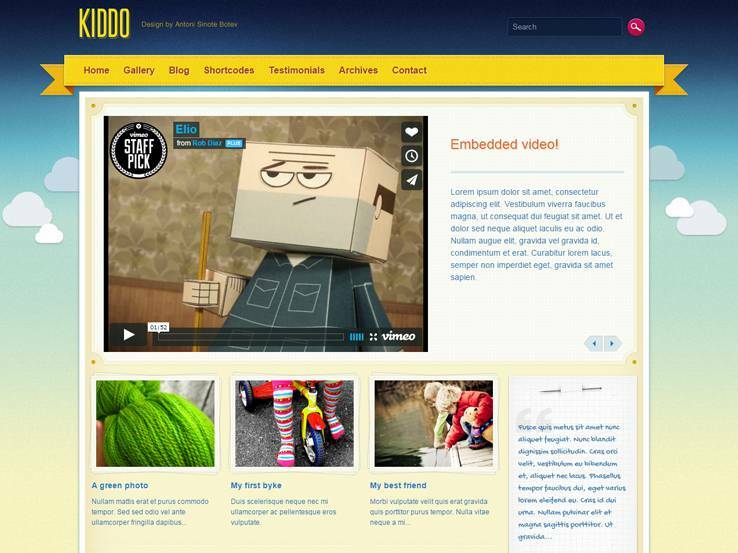 Here’s another popular WordPress theme for creating education websites for kids and youngsters. 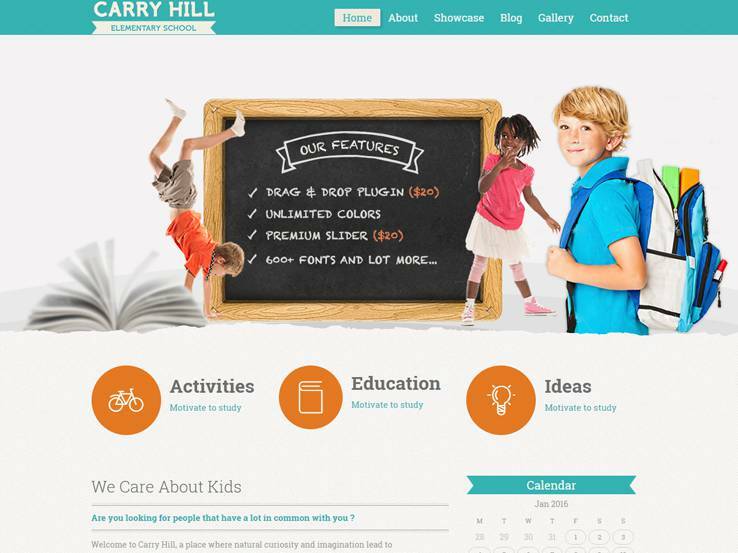 Carry Hill School features both Visual Composer and the Ultimate Addons plugins, which means you are free to create any type of layout you want. Use the premium slider plugin to insert slideshows into your posts and pages. The practical scheduling feature will keep the students informed about the class routine. Carry Hill works correctly with Ecwid, enabling you to sell books and other items right from your website. The multi-lingual template also offers full documentation with video tutorials. Little People is specially designed to develop nursery, pre-school, or primary education sites for infants and the little ones. The colorful theme comes with the powerful combination of Visual Composer and Essential Grid, making it a lot simpler to create custom grid-based layouts. And for displaying your HQ images, the Revolution Slider is included as well. Parallax video backgrounds will draw the attention of your visitors, while the testimonials management options will let you showcase your clientele. Use the timetable plugin to create and display the learning schedule. The unique design is perfect for viewing from all devices. 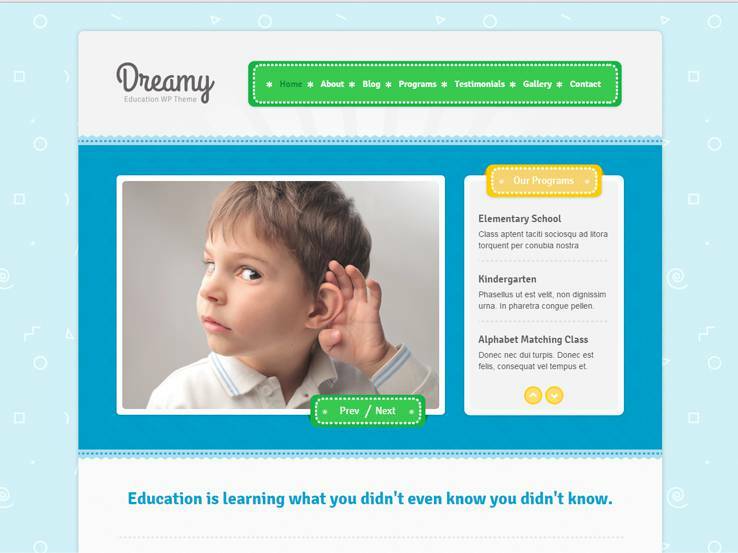 The Dreamy WordPress theme is focused on educating kids and it works rather well since it has a responsive layout. Studying on mobile devices is becoming commonplace so the fact that you can bring up lessons on a phone is pretty cool. The wonderful colors are there to grab the attention and the video header explains what your school does. Keep in mind that this is primarily an informational theme, so if you’re interested in posting your own classes online, you either need to get a different theme or find a plugin that supports this. 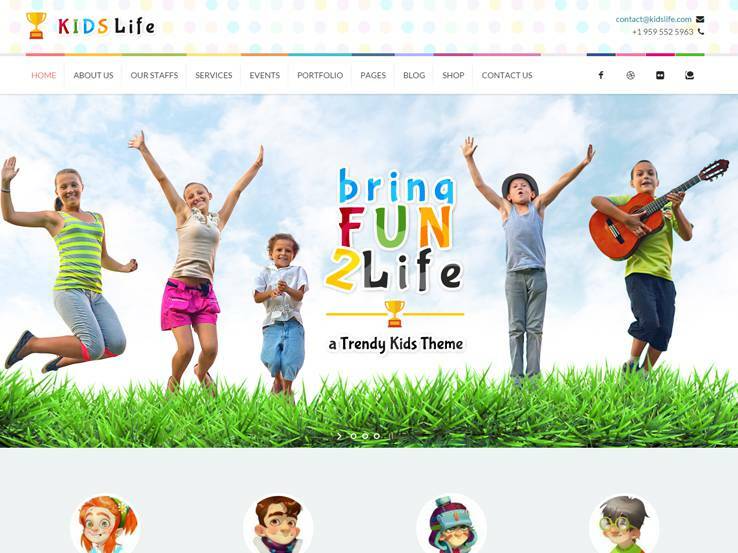 Thanks for showcasing our kids life and kids zone WordPress Themes in your collection. 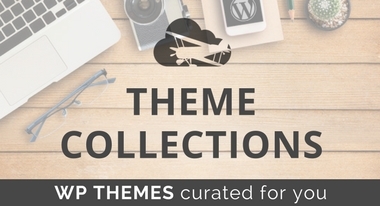 Both are quality themes, and we are happy to have them on our roundup. Wonderful themes for kids, I never knew before that there are such type of themes also available for kids. Great, thank you. I am glad you found this helpful, and thanks for the feedback.